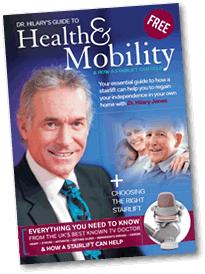 Is it affecting your mobility? 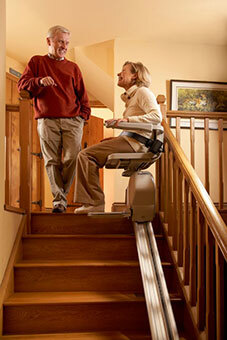 How a stairlift can help? When can a stairlift help? How do I find a reputable company? What type will suit my home? 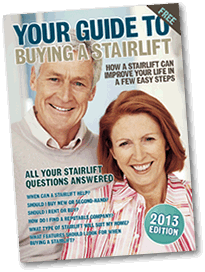 The purchase of a stairlift need not break the bank; in fact it could cost far less than you first thought. A new stairlift costs less than you think – fully fitted from £1350 including a 12 month warranty. Advances in technology and more efficient production methods have brought stairlift costs down, making them a viable option on almost any budget. Without a stairlift, many people with limited mobility end up living and sleeping downstairs, or end up moving to a bungalow or ground floor flat because the stairs have become too much of a struggle. When compared to these options, a stairlift is a practical and economical solution, which can help you to stay in your own home. Stairlifts can be folded away when not in use and leave plenty of room to walk up and down the stairs. The rails fit to the stairs and are designed to be modern looking and unobtrusive. 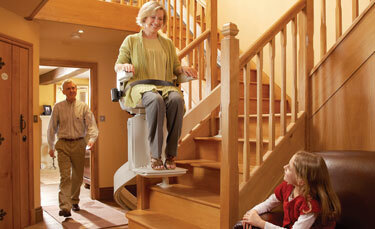 Stairlifts have been designed to be two things: extremely reliable and extremely easy to use. A simple toggle moves the lift up and down. what a difference the stairlift has made to her life and the benefits she has had from it.